Traverse Icelands South Coast the hard way, by beach, using roads only as a last resort. 500 miles over 3 weeks through severe wind, rain and conditions that would render a conventional bike useless. 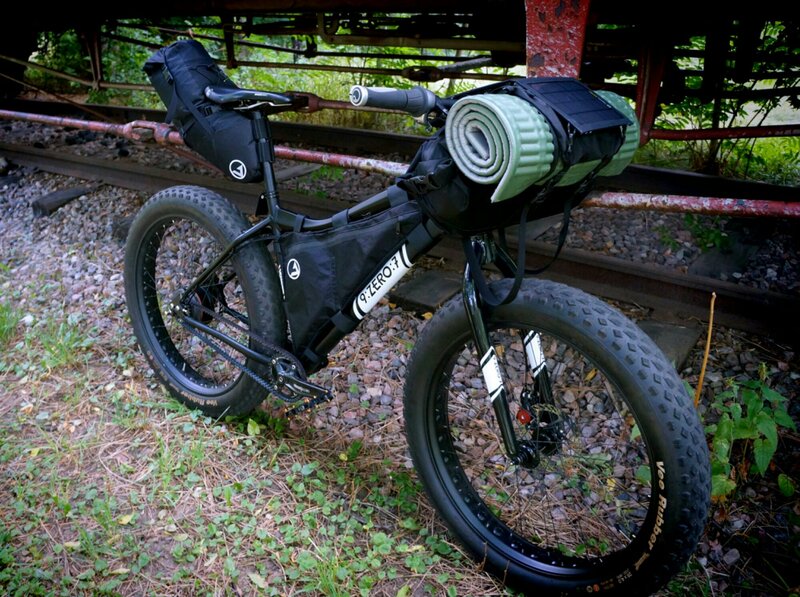 The 9:Zero:7 Tusken Fatbike with Ergon Ergonomics was also equipt with Jpaks custom packs to carry everything needed for a three week self-supported expedition. Chains and derailers were out. To endure the sand, gravel, mud and general abuse, I used a Gates Carbon Drive belt system coupled with a NuVinci N360 continuously variable transmission. This bulletproof setup allowed me to focus my attention on the difficult ride and resting whenever necessary vs worrying about chain maintenance. This fatbike equipt with a Gates belt, NuVinci hub, Ergon Ergonomics and Jpaks custom packs proved to be the optimal setup for adventurers seeking steadfast reliability when riding off the beaten path and into the rough where bicycles seldom venture.